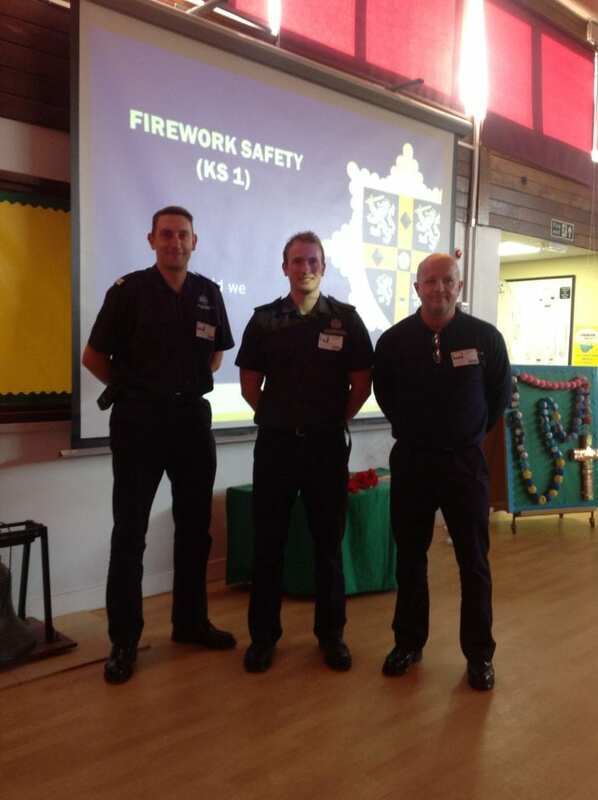 This week, fire officers from Bishop Auckland Fire Station came to talk to all of the children about staying safe over the bonfire season. They showed us how to STOP, DROP and ROLL in the case of a fire accident, we got great advice for using sparklers safely, and lots of important messages to ensure we all enjoy a happy bonfire night. Ask your child about what they learnt – they are experts now!